"I was a dictator, making myself and my husband insane!" If you're a parent, you know that nothing ever happens as planned. That's true for expectant (celebrity) parents, too. In an excerpt from the book The Nannie Connie Way: Secrets to Mastering the First Four Months of Parenthood,Jessica Biel and Justin Timberlake open up about how their plan for a natural birth "fell apart" when Biel gave birth to son Silas in April 2015. The couple were ready to welcome their firstborn with "two midwives, one doula, one meditation birthing class, [and] a ton of hippie baby books" when the unexpected happened and Biel had to undergo an emergency C-section at a hospital. "When all our plans fell apart and the serene, natural childbirth we had envisioned ended with a transfer to the hospital and an emergency C-section, we arrived home exhausted, disillusioned, and totally in shock," Biel said. "I was obsessed with everything organic, toxin-free, natural, and homeopathic for our kid, who came into this world in an operating room through an incision. I was a dictator, making myself and my husband insane!" 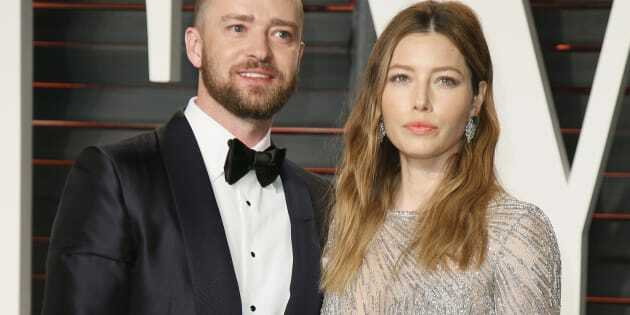 Despite the change in plans, Biel delivered a healthy baby boy on April 8, 2015, and Timberlake has since said that he hopes the family-of-three will welcome more little ones in the future. "I want to have as many kids as we can, if I'm being honest," Timberlake said during an interview with Beats 1's Zane Lowe in January. "I've never felt more inept in my life. You wake up, and all of a sudden there's this human being you're responsible for." An emergency C-section, such as Biel had, can occur for of a multitude of reasons, including going into labour before a planned C-section, complications arising during pregnancy or labour, multiple pregnancy (ie. twins), a large baby, and labour has stalled or is very slow. But according to a 2016 National Post report, more women are requesting — or being given the option to choose by their doctors — a C-section. Reasons vary for elected C-sections, according to the National Post, and can include delayed delivery, a phobia of vaginal birth, worries about damage to the woman's pelvic floor, or wanting to reduce risk during delivery. According to the Canadian Institute for Health Information (via CBC News), the caesarean section rate in Canada was 27.2 per cent in 2012, up from 18.7 per cent in 1997, meanwhile, the World Health Organization recommends a rate of 10 to 15 per cent, stating the procedure can put women and babies at risk of short- and long-term health problems. Healthy women who had planned C-sections faced higher risks of postpartum cardiac arrest, hysterectomy, anesthetic complications, and blood clots compared to women who had a planned vaginal delivery, according to a 2007 study. The study also noted that the women in the planned caesarean group of participants were 3.1 times more likely to have a risk of severe maternal morbidity than those in the planned vaginal delivery participant group. Meanwhile, women who had planned vaginal births were less likely to die or experience serious disease. Emergency C-section delivery was associated with the "highest in-hospital mortality and most severe maternal morbidity rates," the study noted. According to the National Post, some studies say C-sections are linked to a slight decrease in stillbirths and fewer babies born through C-sections have problems with accessing oxygen at birth. Not to mention the fact that a C-section may be the only option for a mom who has a high-risk pregnancy, making vaginal birth too risky for mom and/or baby. Whether you're having a vaginal birth or a C-section, it's important to remember that your and your baby's health comes first. "Do your research, look at the internet, then talk about what you find with your doctor and midwife and partner and try to work out what you want," Caroline de Costa, professor of obstetrics and gynaecology of the College of Medicine at James Cook University told HuffPost Australia. "It's important to remember it's not your fault if things change."